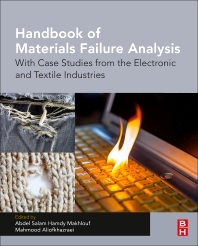 Handbook of Materials Failure Analysis: With Case Studies from the Electronics Industries examines the reasons materials fail in certain situations, including material defects and mechanical failure as a result of various causes. The book begins with a general overview of materials failure analysis and its importance. It then proceeds to discussions on the types of failure analysis, specific tools and techniques, and an analysis of materials failure from various causes. As failure can occur for several reasons, including materials defects-related failure, materials design-related failure, or corrosion-related failures, the topics covered in this comprehensive source are an important tool for practitioners.